One of the most common home improvements is the replacement of overhead doors. Overhead doors are the largest moving part of your home and require annual maintenance to ensure reliable long-term service. If you have a door repair or have a question about a new overhead door, please give us a call at (660) 446-2002. Overhead door openers usually last eight years depending on the brand. 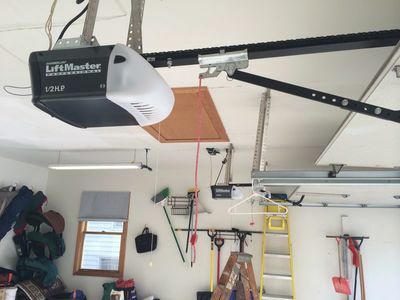 We can work on all brands of doors however in some cases the cost of repair can be close the cost of a new overhead door opener. Our technician can diagnose your opener and give you options so you can make an informed decision. Do you have a section in an overhead door that is broken or dented? We can replace that section only and save on replacing the entire door. 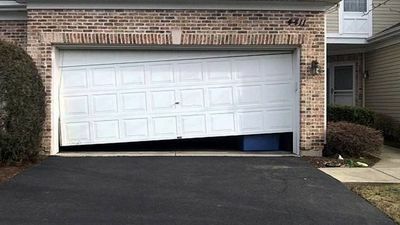 This is an option on sectional overhead doors. This is usually one of three things: a broken spring, overhead door opener needs repair or to be replaced, or a broken cable. We can diagnose your door quickly and offer you options. If your overhead door will not close it is most likely the safety eyes. This can be a quick fix or a difficult fix. In some cases, the safety eyes need to be moved or replaced. Neither option is very costly and typically a quick fix. Or in other cases, we may have to rewire the safety eyes to the motor. A broken overhead door spring is pretty easy to diagnose. 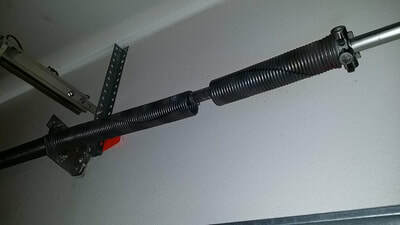 While in your garage with the door closed you can see a spring with a 3 to 5 inch break in it. You will also notice that when activating the opener the door will not open. We recommend not trying to open the opener to prevent damage to the motor. ​7:00 A.M. - 5:30 P.M.